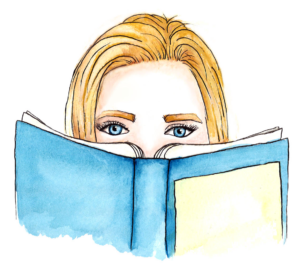 Would you rather secretly love a book everyone else hates, or secretly hate a book everyone else loves? Whilst I’m usually in agreement with the general opinion of a book, there is one book in particular that I am not, namely, The Name of the Wind by Patrick Rothfuss. I wouldn’t say that I hate this book, I just dislike it significantly more than most people do and I have no problem openly sharing my unpopular opinion. 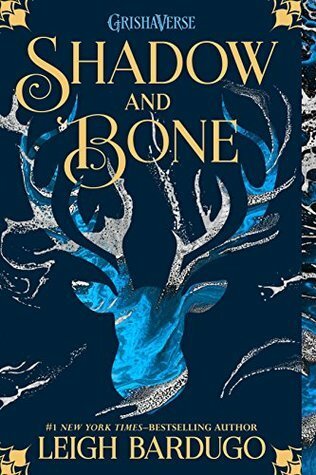 However, when it comes to a book that I love that most people hate, I worry that if I share my opinion on the book then others would try to change my mind, intentionally or not. Because of this, I would rather secretly love a book that everyone else hates. Would you rather be stuck on a very long plane or train ride without a book? A widely-known fact about me is that I have a crippling fear of flying. Plane rides always trigger my panic attacks no matter how long or short the journey is. I haven’t been on many trains in my life, but I have enjoyed those that I’ve been given the chance to experience. However, I don’t know if I could endure a train ride without a book. There is usually a high chance of there being a TV on a plane, but almost zero chance of it on a train, so I would rather be stuck on a very long plane ride without a book (in hopes that there is a TV to keep me distracted). Would you rather have dinner with your favourite author or your favourite character? Most people have answered this question by saying they would rather have dinner with their favourite character but I would much rather do so with my favourite author. Firstly, the character that comes to mind whenever I am asked who my favourite is is Vin from the Mistborn trilogy. Whilst Vin is an interesting character that I relate to on so many levels, she also intimidates the hell out of me. I don’t know what I would even say to her! Secondly, my favourite author at the moment is Brandon Sanderson, who wrote the Mistborn trilogy. There are so many questions I have for him regarding the series, soI would rather have dinner with him than with Vin since her character and story is his brain-child. Would you rather date a character you have a crush on or your crush from real life? As much as I love Carswell Thorne from the Lunar Chronicles, I would definitely date my crush from real life. But that’s a story for another day! Would you rather have your favourite book turned into a movie, or your favourite movie turned into a book? Seeing my favourite book on the big screen would be such a wonderful way of experiencing the story all over again! I love seeing how my imagining of a book compares to how it has been envisioned by those involved in creating the movie adaptation. There are a couple of problems with seeing my favourite movie turned into a book. Firstly, most movies are based on or inspired by certain books. It’s quite rare to find one where this is not the case. Also, even if this were the case, I would struggle to read the book adaptation of my favourite movie because I would not be able to escape how the story was presented to me on screen. I enjoy using my imagination and picturing the world in my own way. For these reasons, I would rather have my favourite book turned into a movie. Would you rather read a book with an annoying cliffhanger or one where your favourite character is killed off? I’m one of those strange readers who finds cliffhangers to be one of the most enjoyable parts of any book and I don’t usually get annoyed by them. If anything, I hope that there’s a cliffhanger that gets on my nerves because I love that feeling of not knowing what’s going to happen and living in anticipation for the next book to make it into my hands. When it comes to the killing off of characters that I love, I don’t tend to mind too much because these moments are not done with ease or without intention on the author’s part and I respect that, so I would rather read a book with an annoying cliffhanger (mostly because I actually enjoy them!). Would you rather lose the ability to read any new books or the ability to reread books you’ve already read? To be honest, I’m not much of a rereader. I love exploring new worlds and delving into completely different books than what I have read before, despite having reread some old favourites a few times. However, I would much rather lose the ability to reread them again because I want to keep growing as a reader and find even more books to add to my favourite list. Also, I would hate to have to reread some books that I didn’t enjoy all that much. That would be horrible. Would you rather live in a library or a bookstore? I practically already live in a bookstore since I work in one and I love every moment of it! However, living in a library would be quite different and new to me. Just imagine what gems I could find in there! For the sake of changing things up a bit, I would rather live in a library! Would you rather lose your place or get a paper cut every time you read a book? I must say, paper cuts are one of the most annoying things to me. Since I handle hundreds of books on a daily basis, I am terrifyingly close to getting a paper cut at any moment throughout the day. On the other hand, I am the absolute master of being able to find my place in a book once I have lost it. I have read entire books without using a bookmark purely by remembering the last page I was on or simply checking my Goodreads updates. Let’s be honest, updating your progress in a book on Goodreads every time you stop reading it would be the greatest way to solve this problem. So, yes, I would rather lose my place every time I read a book! Would you rather have to always read in the dark or always read books with tiny text? Both of these options are equally as terrible in so many ways. They both require me to be extremely uncomfortable while I read and dare I mention the amount of squinting that would need to be employed in order to be able to read at all? My poor eyes have to suffer either way. But, if I had to choose, I would rather always read books with tiny text because magnifying bookmarks exist and would save my life. And vision. Would you rather read by a fireplace or on the beach? This is an absolute no-brainer for me. As I mentioned earlier, I love keeping my books in pristine condition. Reading on the beach would ensure that I come home with not only a pretty beat-up book but also that my book brings sand back, too. I also find the beach to be an incredibly uncomfortable space for me. The sand gets absolutely everywhere from under your nails to on the car seat. The sun also blazes down for the entirety of the day meaning that I’m still going to have to squint, even though I have my trusty magnifying bookmark because the pages will be made blindingly white from the sunlight. Fireplaces are much cosier, sand-free areas in which reading a book becomes a magical experience so I would much rather read by one of them as opposed to on the beach. Answering these questions was quite a lot of fun, although I’m not sure that it’s as difficult as Buzzfeed claims it to be! Regardless, it’s interesting to see what other book lovers choose between! 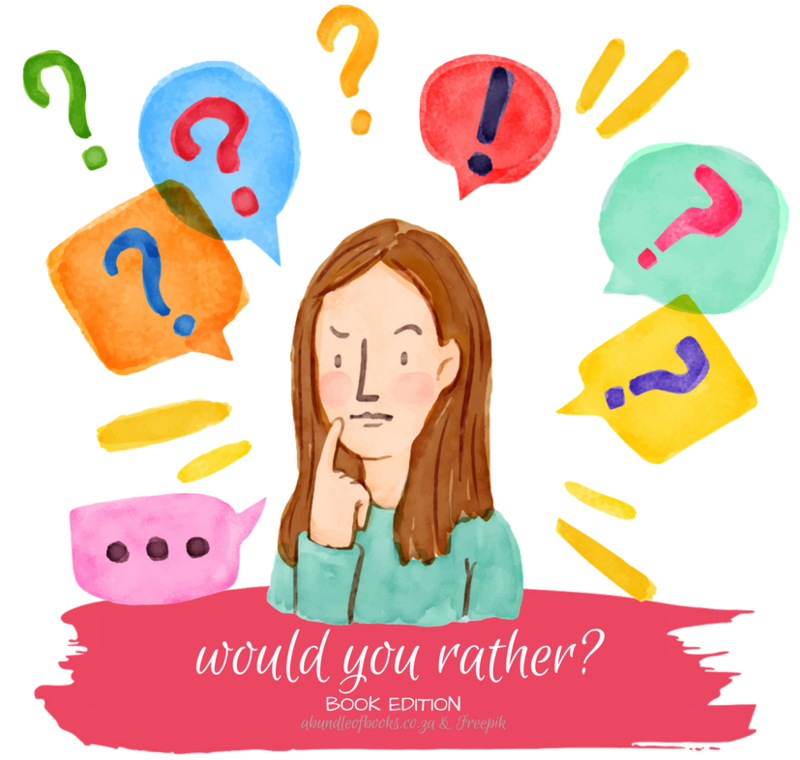 If you would like to try out Buzzfeed’s Hardest Game of “Would You Rather” For Book Nerds, check it out here, and let me know if you agree or disagree with any of my answers. I would love to know!